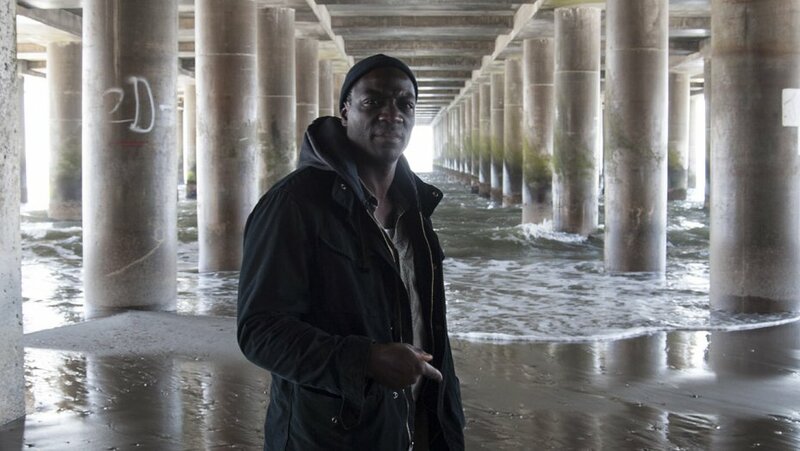 Babel "Babs" Johnson (Adewale Akinnuoye-Agbaje Adebisi from HBO's OZ) is a Army Vet and former Philadelphia cop. However in Philadelphia he fell from grace and on hard times in equal measure. He did some things. He's haunted by them. But cops are nothing if not tenacious. After he's fit to serve again, Babs joins the force in his home town, a bedroom community to Atlantic City. But a lot of time has passed. Babs's ex-wife Savannah (Heather Graham-Rollergirl from Boogie Nights ), a wealthy woman in her own right, divorced Babs during his troubles. To quote BB King, the way that Savannah used to love Babs is the way she hates him now. Bitter, party of one, your table is ready. Babs tries to deal with Savannah's scorn only so he can restart his broken relationship with their daughter Amy (Celeste O'Connor). This is going to be difficult as Amy takes her cues from her mother. Making his family life more complex is that when Savannah rejected Babs she also decided against men completely, taking up with a young female punk artist known as Surfer Girl (Reyna DeCourcy). Babs doesn't much care about this but he does care that Savannah and Surfer Girl plan to move to Hawaii, something that would make visitation with his daughter very difficult. Not wanting to rely solely on Savannah's money, the entrepreneurial Surfer Girl brings in funds by dealing for (and stealing from) the local mob connected big shot Jimmy (Louis Mustillo). This is a problem because strictly speaking not only should Babs run his wife's lover in for drug dealing, but also more ominously Jimmy and his friends have no problem hurting the loved ones of problem employees-i.e. Babs' ex-wife and daughter. In fact they are the kind of folks who enjoy using pain and humiliation to make a point. But Babs isn't the man to passively accept anyone threatening his family. Most of Babs' fellow police officers are distant towards him, something that is very much rooted in race. A notable exception is his sybaritic partner Paddy Sheehan (Christopher McDonald). Paddy's married to the aging but still attractive TV news anchor Kate (Jennifer Ehle). Kate is feeling the pressure from younger up and coming female newscasters who want her spot. Kate doesn't always feel appreciated. Kate and Babs each seem to pick up on what the other person is putting down, if you know what I mean, and I think you do. There are flashbacks throughout the film to show the kinds of trouble Babs got up to in Philadelphia and the ongoing struggles with temptation-both chemical and carnal-that fill his life. Unfortunately the dialogue is not that great. The film features annoying voiceovers from people later revealed to be deceased. Unlike in Goodfellas, this didn't work, primarily because the viewer wasn't given enough to become fully invested in the characters. This was not a bad film. It's just not a must see. It wasn't the actors that did anything wrong. The writing didn't have that spark. You can have fun watching it provided you just turn your brain off and don't ask a lot of questions.